The ESCAP Trade, Investment and Innovation Division, in support to the ARTNeT research programme on trade facilitation, initiated development of a bilateral trade cost database in 2010 in an effort to increase understanding of the cost of trading between countries in Asia and the Pacific and beyond. The trade cost measure, based on Novy (2012) , is a comprehensive all-inclusive measure based on micro-theory and calculated using macro-economic data, providing an alternative measure of trade facilitation performance. Following release of a first version of the database in 2010 using trade and GDP data, an improved and expanded version 2 was released in December 2011 - based on gross output data and providing sectoral trade cost estimates for about 100 countries. In late 2011, United Nations ESCAP and the World Bank (WB) joined hands to develop a common standard methodology for calculating comprehensive international trade costs and provide the research and policy community with a global reference. The current version includes data from 1995 to 2016 for over 180 countries. 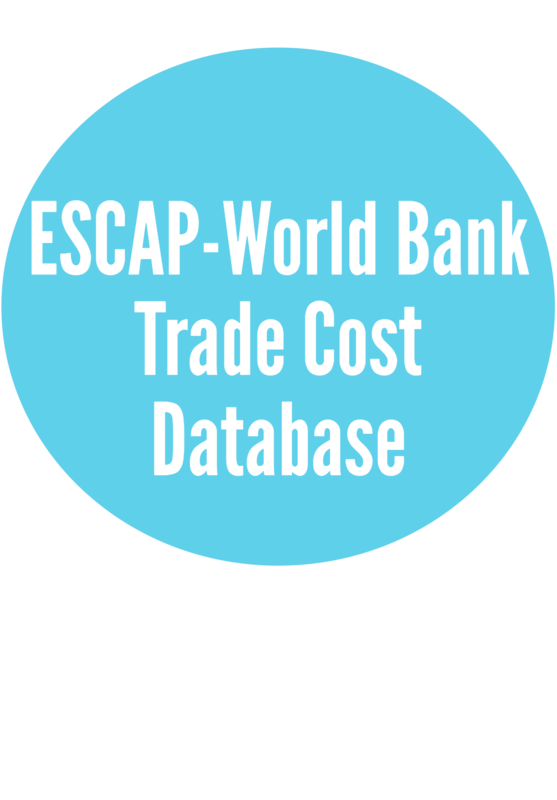 Note: In addition to maintaining the ESCAP-World Bank trade cost dataset, ESCAP also issued a Value-added trade cost database, based on the OECD-WTO TiVA data and which includes trade cost in services. The database is available here. More information and a preliminary analysis of that dataset is available here.